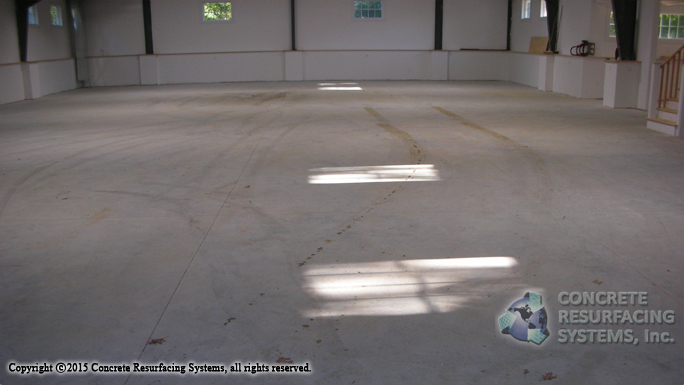 A stained and dirty concrete floor was not acceptable to the owner of this large, (4000′ sq. ), Boston, MA area residential garage. 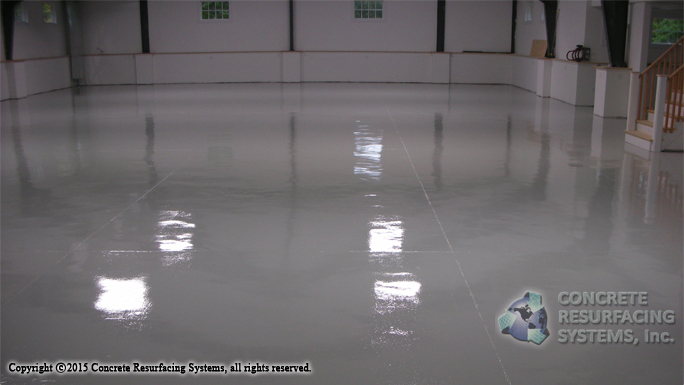 Concrete Resurfacing Systems, Inc. prepared the floor, (removing all oil residue and cleaning concrete), then applied a 100% Solids Epoxy base and High Performance Uerthane top coat. Now the garage is as easy to maintain as the rest of the home — and looks like an automotive showroom floor. Whether you have a small, single-car garage, 2-car, or larger — or an actual auto showroom, we can install an epoxy, epoxy/urethane, or decorative flooring system to meet your needs and your budget.